In the few years since the N.C. beverage laws changed, the distillation of alcohol in this state has taken off. 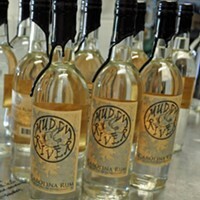 One of the newest contenders is Muddy River Carolina Rum, made by two Charlotteans, Robbie and Caroline Delaney, in nearby Belmont. 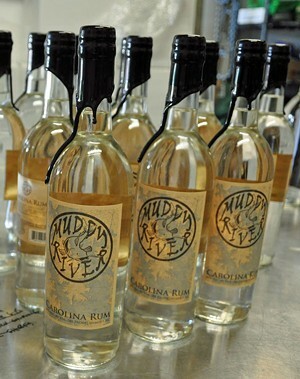 Muddy River makes both a white rum and its Queen Charlotte, an aged 84-proof dark rum, via column-distilling, giving these rums a crisp and distinctly Carolinian flavor profile.